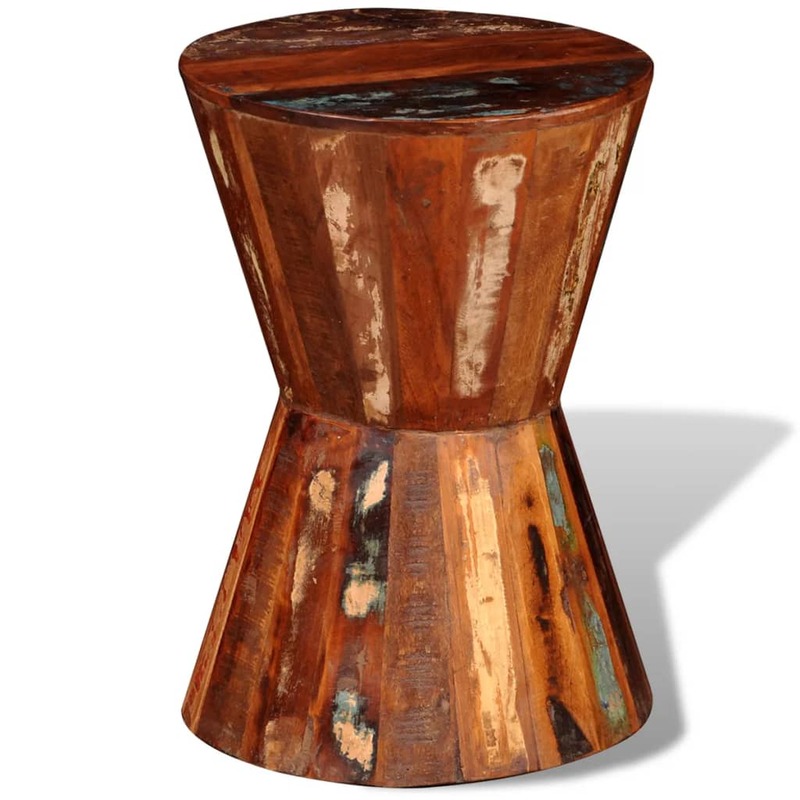 This antique-style reclaimed stool will surely bring you seating comfort. The simple solid wood structure delivers high sturdiness while the natural grain patterns make each stool unique. 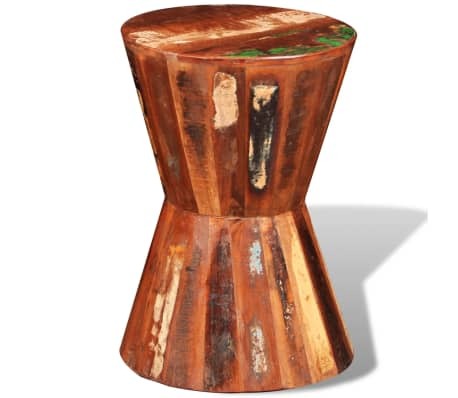 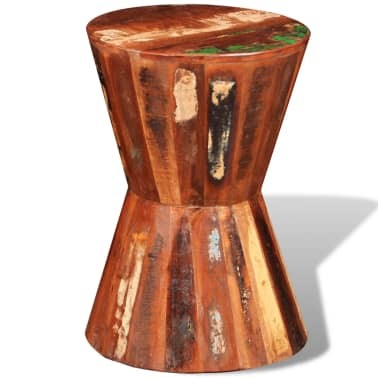 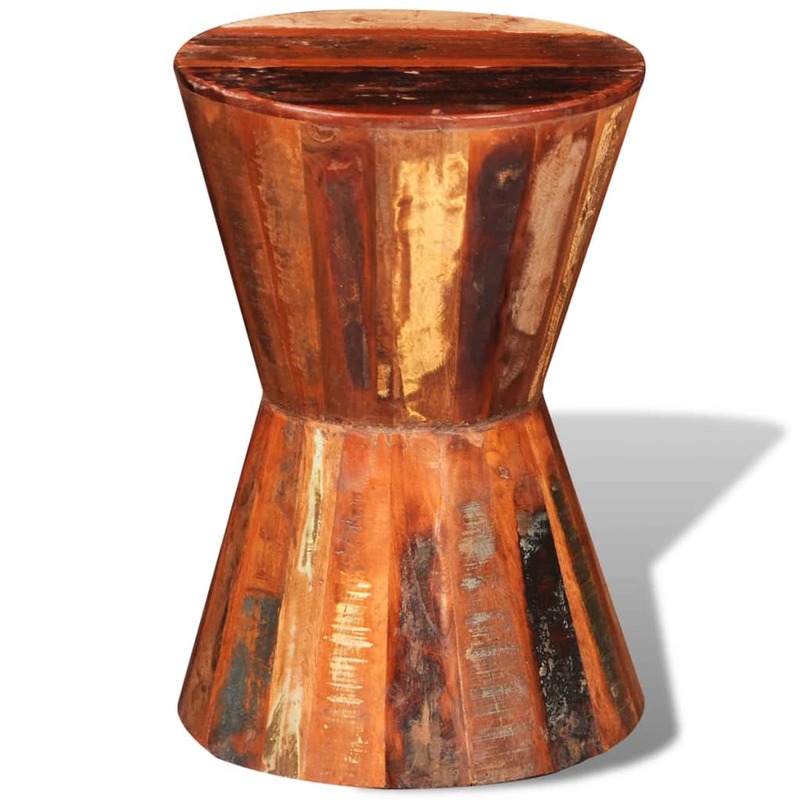 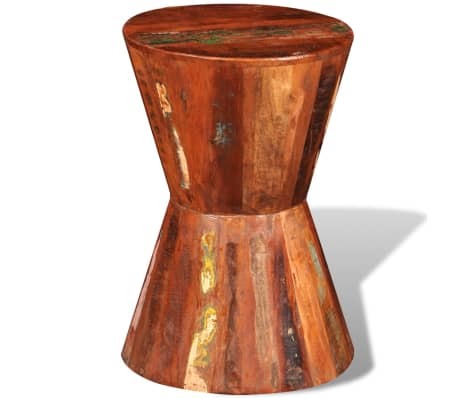 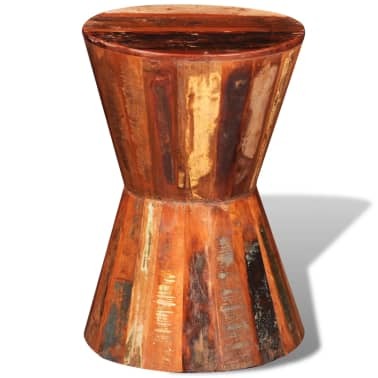 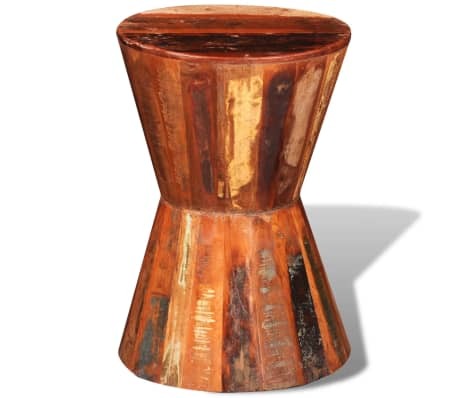 This vintage stool is made of reclaimed solid wood, which means that every piece of furniture is unique and slightly different from each other. 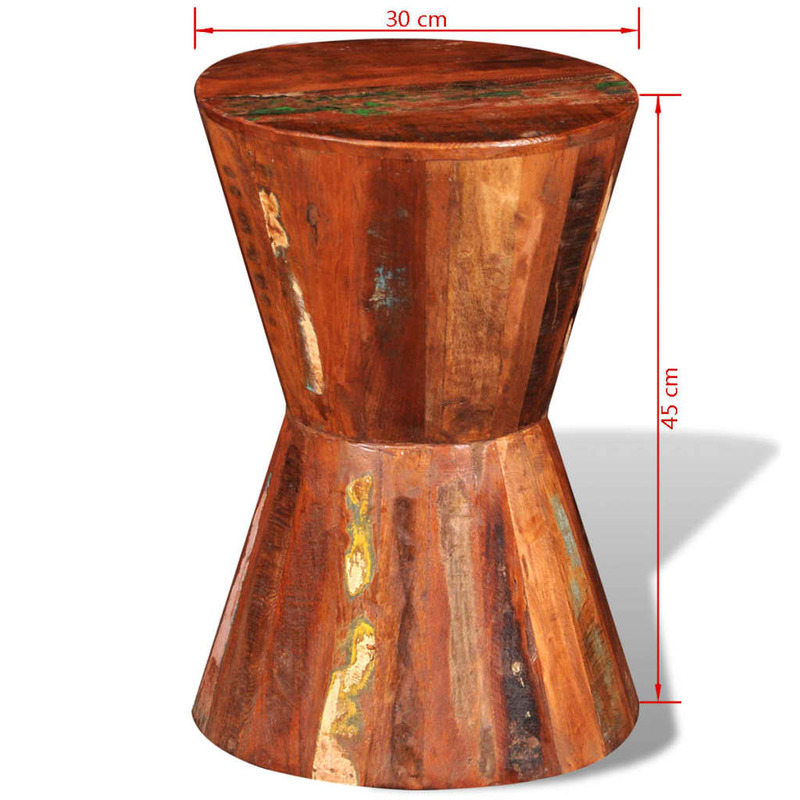 The furniture made from reclaimed wood has characteristics of different woods like teakwood, sheesham wood, acacia, mango wood, saal wood etc. 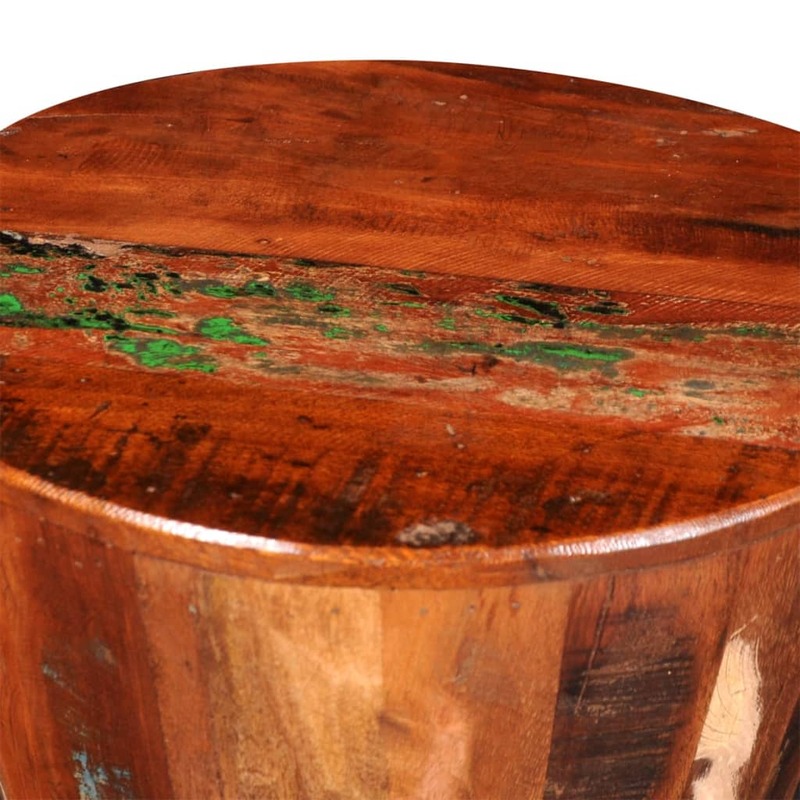 Reclaimed wood is solid, stable, durable, and beautiful. The nail holes or clear-faced grains bring their history with them and invite another generation to permeate them with their own. 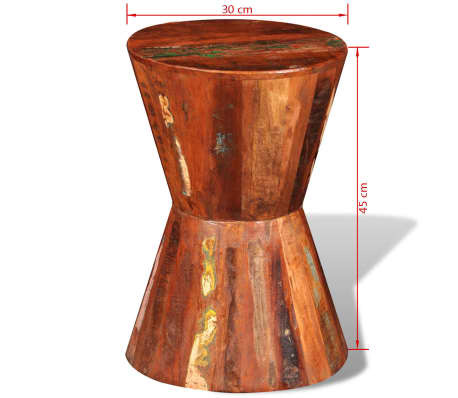 Keeping this piece of furniture at home will show your concept of resource conservation, environment protection and sustainable development. 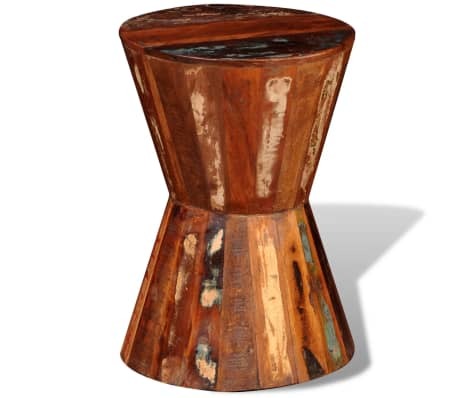 Pure handmade craftsmanship adds the vintage spectacular style to the stool and feasts you with exotic flavor. 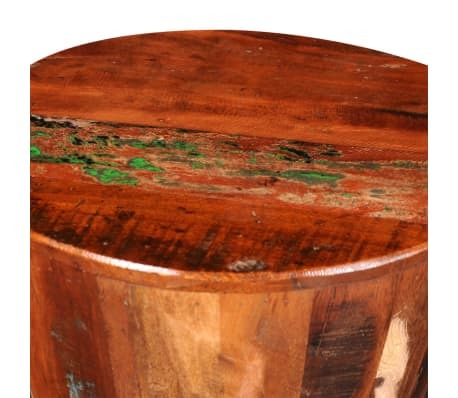 Every process of recombining, polishing, painting and waxing is elaborately prepared. 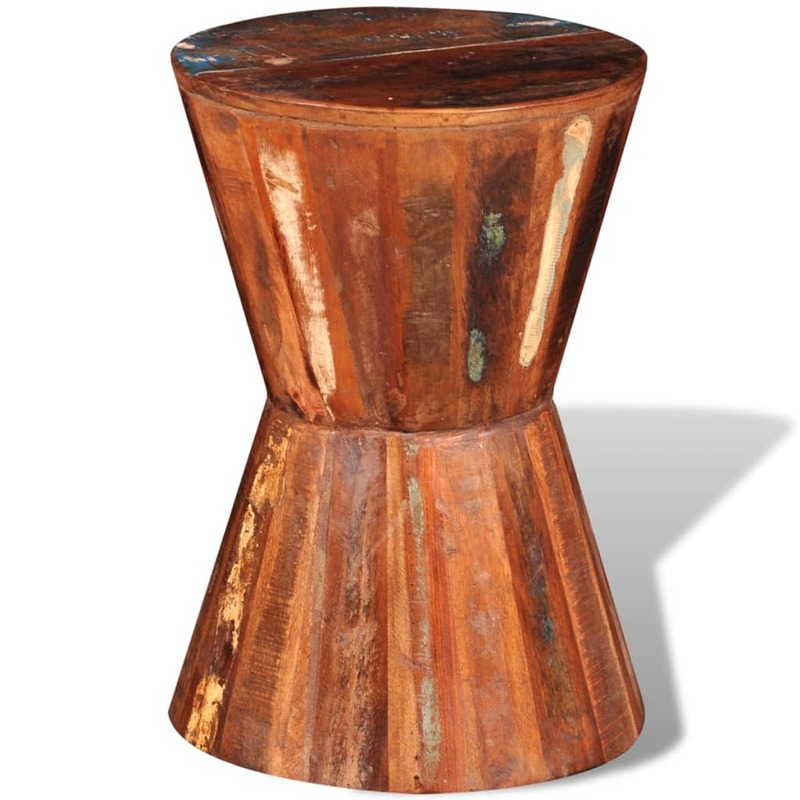 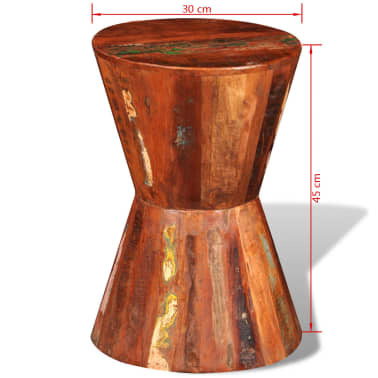 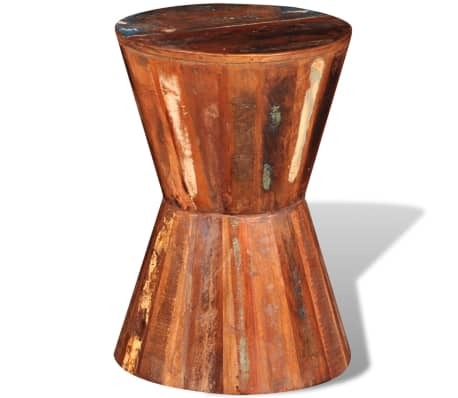 The antique stool will surely be a perfect addition to your home! 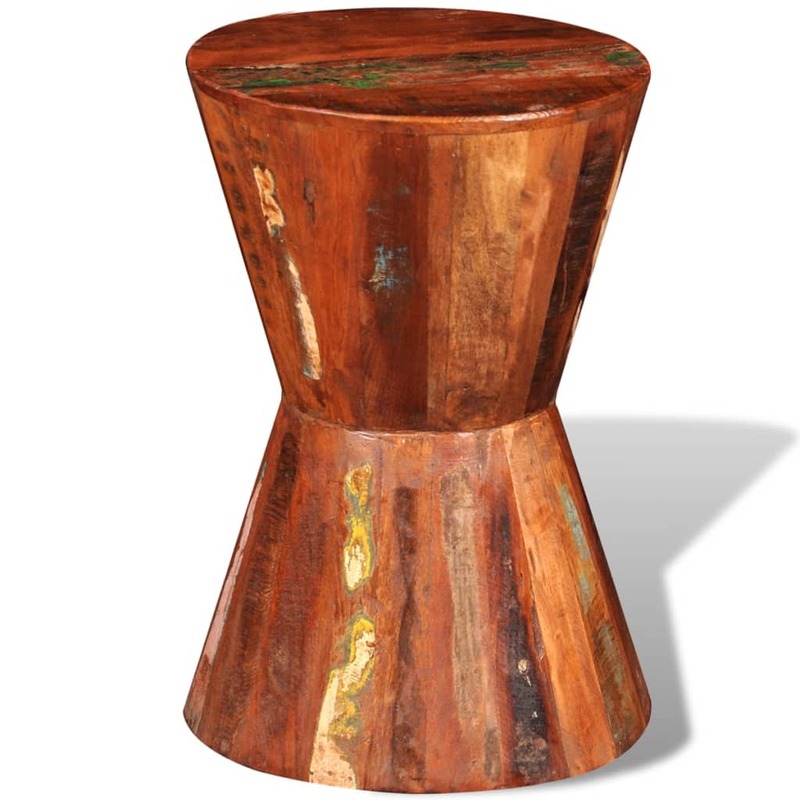 Important note: Colors vary from piece to piece, making each of our stools unique; the delivery is random.